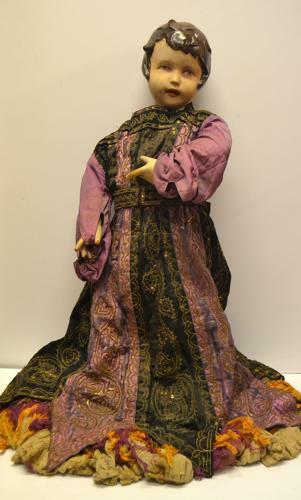 This child mannequin is dressed in a possibly early Victorian handmade dress. It has a label identifying it as a Charles H Fox LTD design, who were well known for creating theatrical wigs and costumes. All of our prices include current VAT (20%). Thanks.